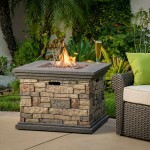 There is no doubt that adding a fire pit to a backyard or patio adds interest to an outdoor living space but to truly create or enhance that irresistible outdoor haven, some fire pit landscaping ideas need to be incorporated . 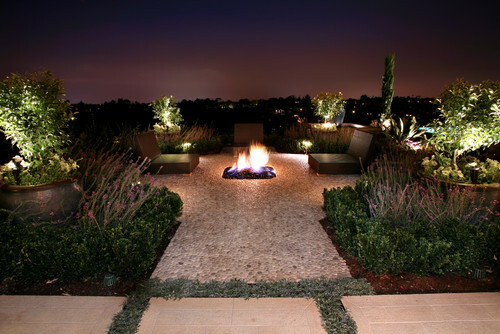 Whether it’s well manicured hedges or bushes, plants, vegetables or flowers, a pathway, stunning outdoor lighting, incorporating water features or any other form of landscaping, a fire pit in conjunction with some other landscaping ideas will tremendously improve the look of your outdoor living spacing. 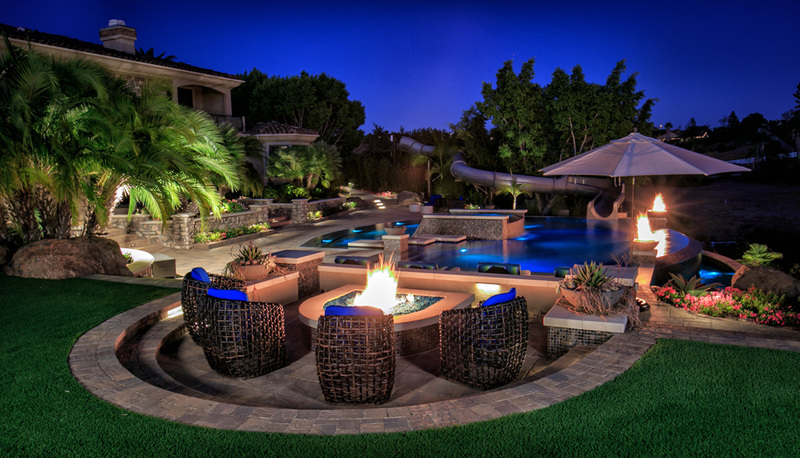 Here are some outdoor fire pit landscaping pictures for your inspiration. 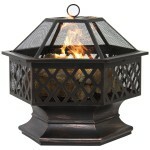 Not only does the fire pit provide warm and improve the general aesthetics of the pool area, but the fire pit bowls also help to provide attractive lighting. 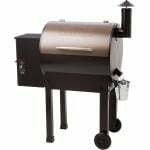 If if you are lucky enough to have a natural gas supply then, get yourself a custom design natural gas fire pit surrounded by a lot of greenery for all your outdoor warmth and entertainment. 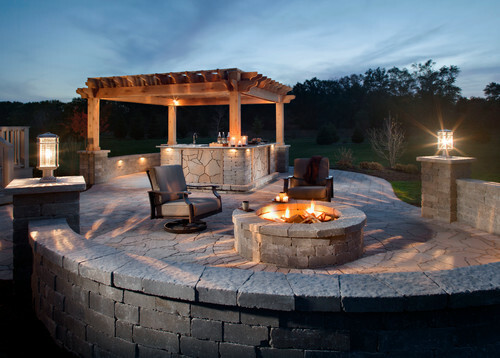 Now this is one outdoor fire pit landscaping idea that I would absolutely love to have in my backyard. 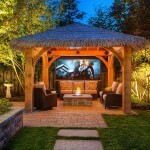 This fire pit area under a shade is essentially an outdoor living room complete with all the essentials from cozy seats, to a flat screen and possibly a sound system. 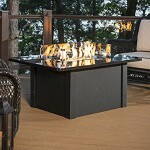 Some thing else that is perfect about this setup is that the edges of the fire pit table are wide enough to allow for placement of drinks, snacks or glasses etc, basically it’s a table making this a perfect fire pit landscaping idea if want to create a functional yet stylish outdoor entertainment area. 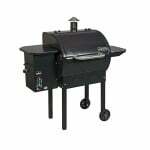 Features a perimeter seat wall with cap and radiant heated tubing for warmth. 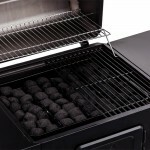 The design allows for music to be pumped from the house to the fire pit area thorough the rectangle white speakers on the seat walls. 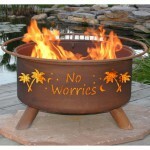 If you want you a fire pit that will match well with any landscaping design, then consider a rustic fire pit. 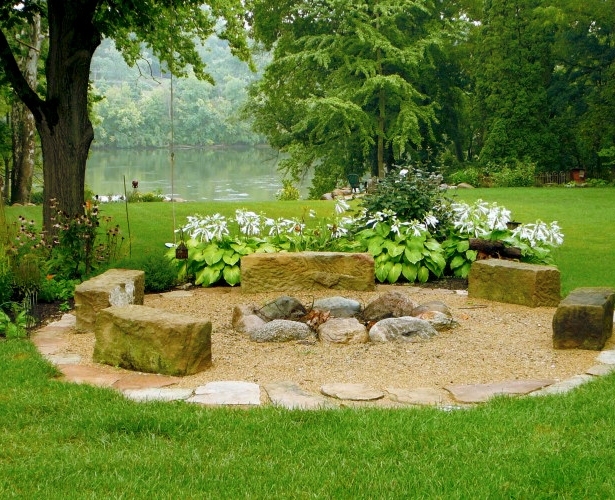 Simple and functional fire pit complete with natural rocks for seating. 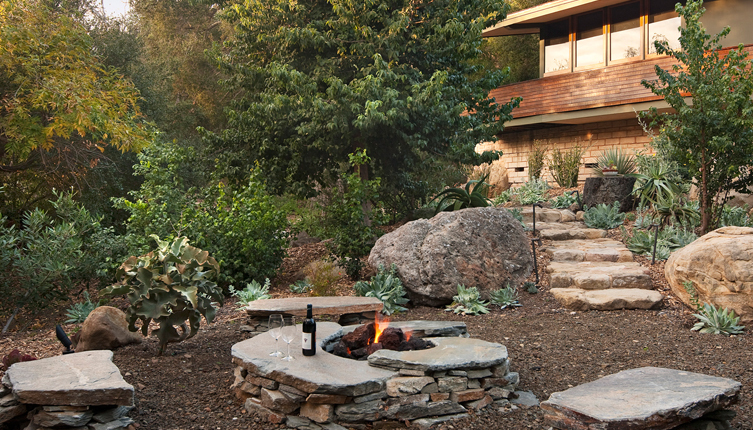 Or you could go with this idea, stone walkway leading to a simple but beautiful fire pit area. 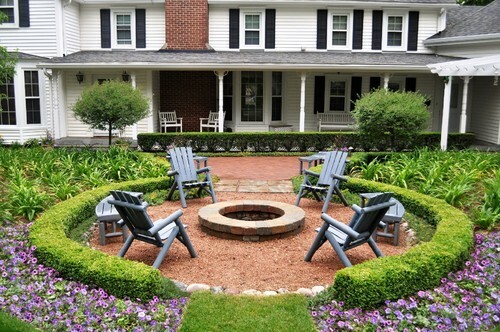 A well manicured hedge around the fire pit seating area has greatly enhanced the entire aesthetic appeal the entire area. 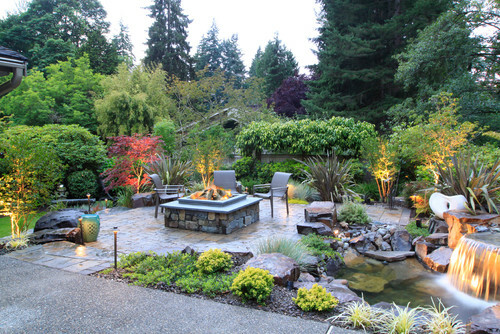 Some flowers and additional grass or vegetables and then have a fire pit area in the middle this colorful garden. 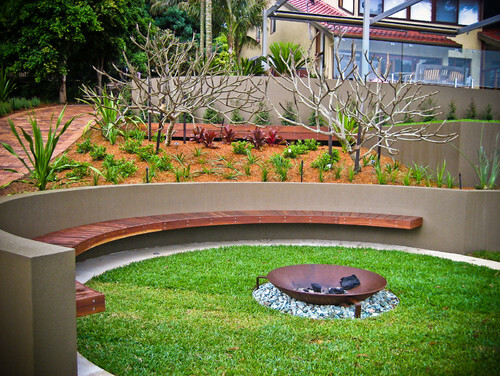 Another great example of a fire pit landscaping idea that will suit almost any outdoor living area. 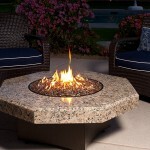 Crushed rock was used around the fire pit area while for the benches and fire pit tops Sydney Peak Flagstone was used. 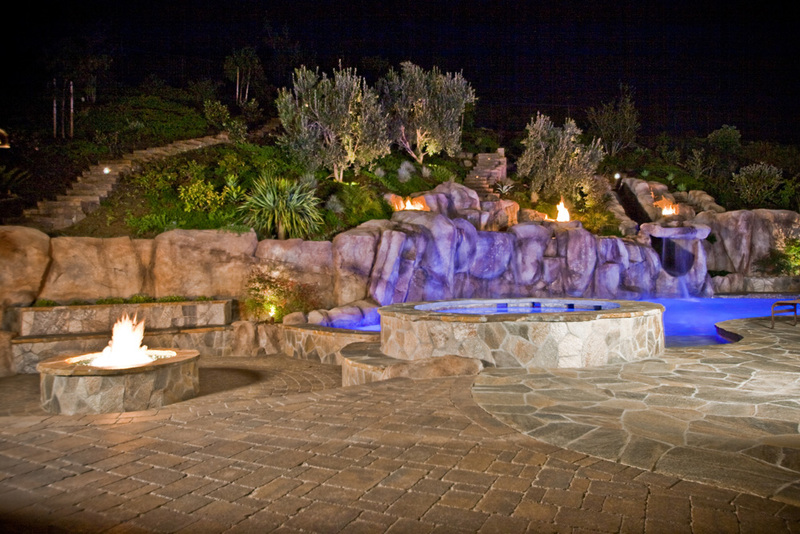 Stone walkway leading to you own outdoor living haven complete with a pool, waterfall, and a fire pit. 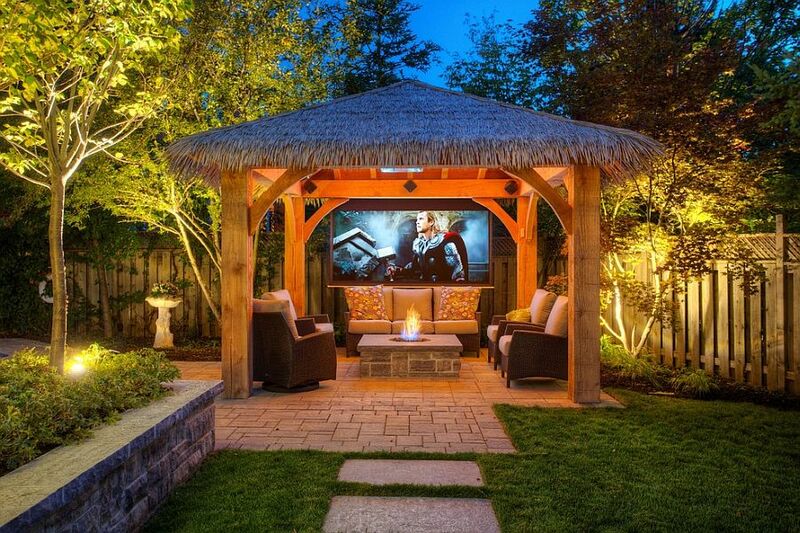 Outdoor perfection! 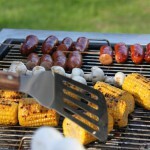 Good idea to use pebbles under the fire pit in order to protect the grass. 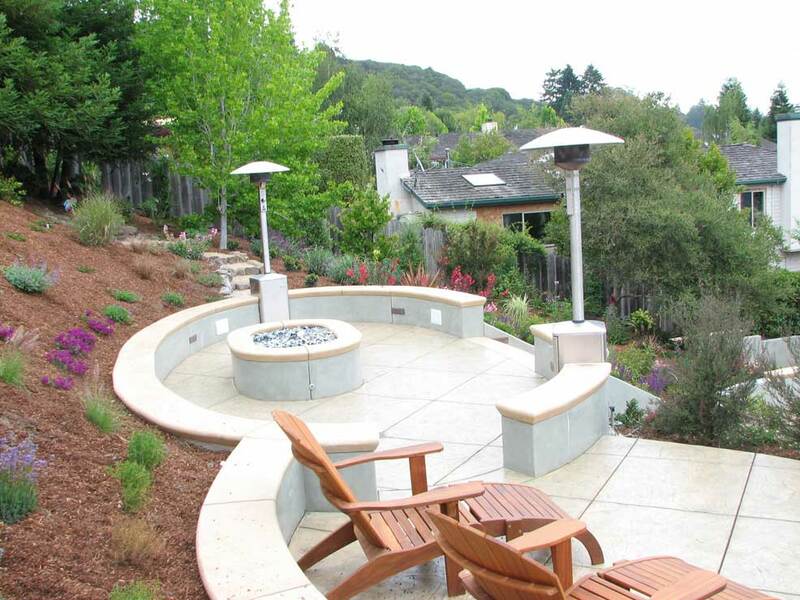 Paved walkway leading to a gorgeous outdoor area with a nice smooth retaining wall with seat and a small garden. 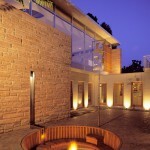 The paving around this in ground fire-pit patio is made of smooth pebble stone inlay called Seaside pebble tile. 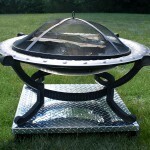 Pools, gazebos, pergolas, fountains, these are all features you can incorporate with your fire pit. 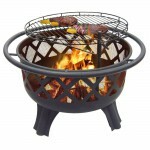 A small kitchen area or bar will also make a great fire pit landscaping addition to your overall outdoor living space. 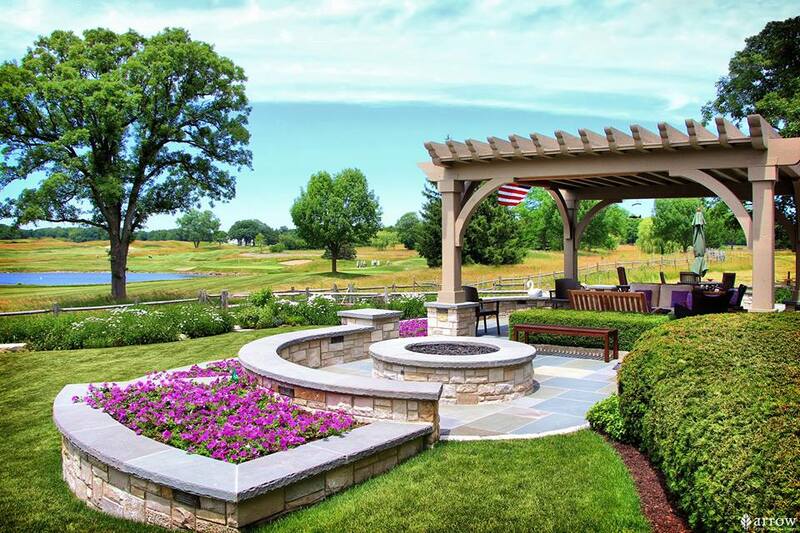 Before doing any landscaping do your research on what’s feasible and what’s not depending on the nature of landscaping required and the maintenance. 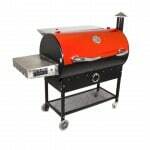 For example when it comes to hot and dry climate, what landscaping plants a suitable for such harsh conditions? 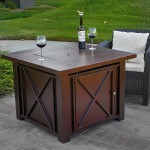 Also among other things, consider the space you have to work with and how much you are willing to spend. 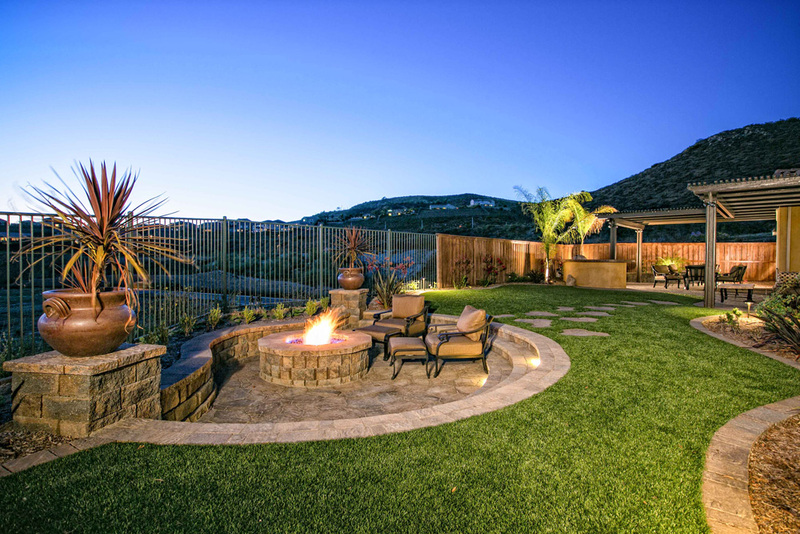 As for the pictures above, you will agree with me that all these outdoor fire pit landscaping ideas bring a level of style and elegance to the spaces, you agree?